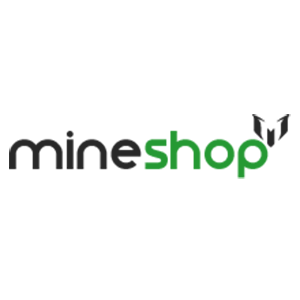 When it comes to financial transactions online, anyone would agree that Blockchain is a godsend technology, and no one understands this better than Mineshop! It’s a computer company that is helping spread this new wave of change, operating as a link between the common consumer and the world of cryptocurrency. Thanks to Mineshop’s multi-award winning mining systems, more and more people can get into the cryptocurrency race and go head to head with veterans even without any knowledge of how the technical side of it works. We are not kidding! You can get your hands on its mining rigs and start mining cryptocurrency even having to learn all the ins and outs of the industry. With a strong level of support from the major industry players in the world of IT, this Ireland based company can retail mining and computing hardware to people all over the world. Among its products, it boasts of the 1300H/s Zcash mining Rig that is designed to mine Zcash efficiently with its six AMD RX 470 GPUs. We know you have many questions, including issues to do with its profitability and, of course, the benefits it brings to the table. Relax and read on – you will be glad you did! At 1300H/s not to mention its 6 GPUs, this Zcash mining rig is the most efficient entry level hardware you can find. Its graphic cards are AMD's most recent RX 470 to give a high-quality performance that’ respectable even by professionals. It used to be expensive to just get your foot in the mining game but thanks to mining rigs like the 1300H/s Zcash mining rig, anyone can start mining at a reasonable price. At the moment this rig miner retails at around $2,358 which is a good bargain for entry level miners. With a hashrate of 1300H/s, there’s no doubt the Zcash miner will guarantee you some good ZROI. According to those who have tried it, it’s possible to take home a cool 180% profit ration translating to about $1,613 per year. Which other entry level miner guarantees such a figure? We bet only a few, if any! With this miner, you can rest assured that your electricity bills won't be skyrocketing anytime soon. The hardware is designed to use power efficiently. In addition, its PSU compatibility offers a lot of flexibility allowing you to replace or change it at will. First of all, we all know that although making a homemade mining rig is fun and exciting, it sometimes requires that you know exactly what you are doing. The reason is that building your own rig can be time-consuming and you might end up with a total mess. With the 1300H/s Zcash mining rig, you get a fully assembled miner that is built to stay sturdy and durable for a long time. 1. How much power does it consume? The 1300H/s Zcash Mining Rig’s power consumption is really influenced by the combination of hardware used. As a matter of fact, it is the GPU that usually takes up most of the power. What is surprising is that even with 6 GPUs attached to the 1300H/s Zcash mining rig, it still consumes only 840W, making it a great investment in terms of electricity cost. 2. What operating system works with this mining rig? This is a simple one, and before you go out to budget for sophisticated software to run your Zcash mining rig, know that Mineshop ships its rigs with a fully fledged mining software. Yup – no extra cost on your side! 3. How do I get started with the 1300H/s Zcash mining Rig? So you have already received and unboxed your new 1300H/s Mining Rig and are ready to start mining but you don't know where to start from. Well, here is a simple step by step process to follow. – First, connect your power cable to your power supply outlet preferably from the garage of your home. Once you have everything well connected, the next is to set up your account using your browser as a remote control panel to your rig. Here is how to go about it. – Here you will see a pretty straight forward user interface with all the controls including, hash rate, temperature and the miner pool settings to use. – Afterwards, you can copy your wallet address and link it to the account so that the whole process becomes automatic. 5. How long will it remain profitable? Honestly, this really depends on many factors. In the cryptocurrency business, there are usually many variables such as the Bitcoin exchange rate, as well as the difficulty of mining; all factors that affect your profit. You will also have to factor in your electricity costs to determine just how long a miner can continue to bring in profits. Yes, it does! The 1300H/s Zcash mining rig comes with a default factory warranty that protects you in case of any disappointments. With this rig, you can go ahead and mine stress-free just the way you want. 7. What's the next best alternative to this mining rig? Let's face it: a good deal is as good as the convenience and profit it brings in. The 1300H/s Zcash mining rig is a total bargain especially when you compare its price to industrial miners that now flood the market. 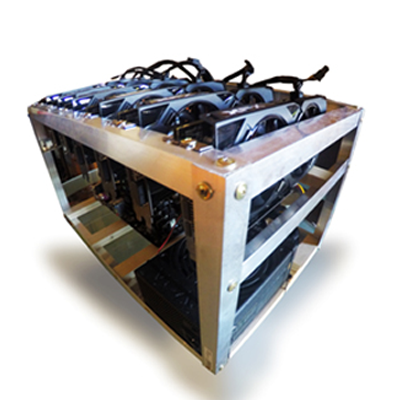 However, the best alternative to this mining rig is the 160Mh/s Ethereum mining rig that is also available at mineshop.com. 8. What PSU works best with the 1300H/s Zcash Mining Rig? You already know that electricity costs in the mining business matters allot since it can actually determine your profits, right? Good. Fortunately, this mining rig comes with its own PSU (with low power consumption) attached meaning you won't have to worry about getting a separate power supply unless you really want to. It's a plug and play design that is convenient especially for new miners who are still learning. 9. Can I use it to mine bitcoins? Unfortunately, the 1300H/s Zcash mining rig is only designed to mine Zcash. But don’t be discouraged if you want to get a piece of the cake in the Bitcoin world; you can use one of the many cryptocurrency exchangers to turn your Zcash coin into Bitcoin whenever you want. In fact, you have an option of changing your coins into any other type of cryptocurrency you want which is just amazing. 10. How is it capable of mining Zcash? Well here is how it works; mining is nothing but a process of turning electrical power into cryptocurrency. With the help of its 6, AMD RX 470 graphic video cards, this mining rig can accumulate a collective hash rate of about 1300H/s. What this means is that the collective hashing speed of each GPU contributes to the Zcash network to mine as fast as possible. Also, the GPU takes up most of the heavy lifting as opposed to the CPU since it's designed to run repetitive programs like video games.